The 2008 Model Year X-TYPE to be released in Australia this August will offer customers outstanding value for money across the range. Visitors to the Jaguar stand at the Australian International Motor Show in Sydney will see something different for Jaguar - the new X-TYPE Estate. The limited edition X-TYPE LS, which goes on sale this week, is based on an X-TYPE 2.5 SE with an extensive list of luxury equipment and added features included for $79.990. 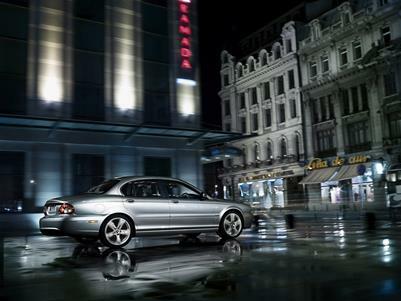 Jaguar today issued the first pictures of the stylish new X-TYPE Estate, which will make its public debut at the Frankfurt Motor Show on September 9th 2003. A new diesel model is paving the way for Jaguar's expansion into the diesel market, the new 2.0D diesel will be on sale in Europe from September this year. Jaguar's new X-TYPE will introduce Jaguar to a new audience "The New Jag Generation" - when it goes on sale in Australia from October 1, with prices starting from $68,150.